Do you ever go Squatchin' in the winter? For those that do, here is a tip on how to ensure you get a good casting of any tracks you might find. 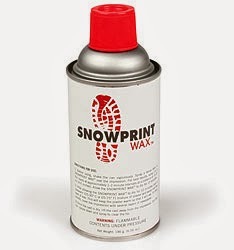 Tiz the season again my fellow Researchers, It's when the snow starts to fly so as a friendly reminder to all that research in the snow, Now is the time to invest in Snow wax, It will help preserve a print in the snow and protect it from the heating of plaster so it won't melt away detail. And even tho bear's are hunkered down it doesn't mean there not around, Bears will leave there den to eat & drink when they need plus if you have Mountain Lion's in your research area plz carry a pepper spray too. 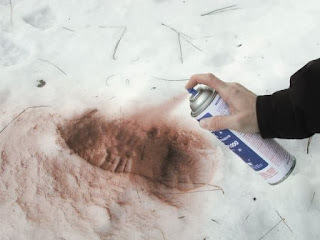 This has been a public service announcement by the MN.B.R.T./ Minnesota Bigfoot Research Team.